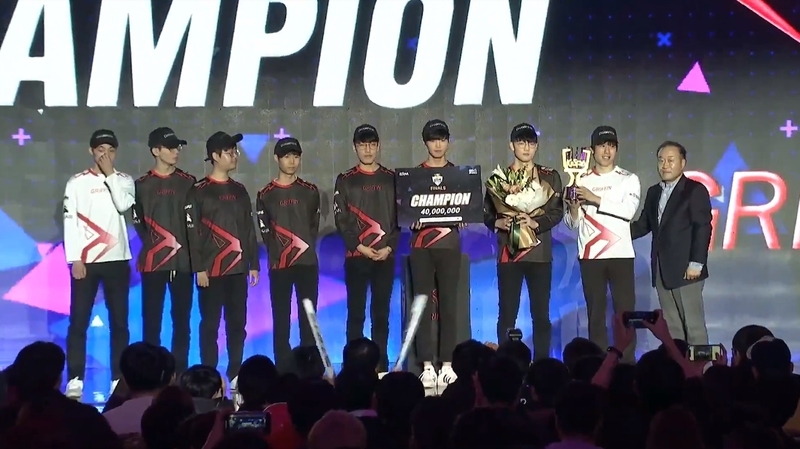 This year’s KeSPA Cup went by in a flash for Griffin as they quickly swept Gen.G in the finals to be crowded the tournament champions. Given a playoff bye due to their performance in the LCK 2018 Summer Split, Griffin steamrolled their way to the KeSPA Cup finals, sweeping both Afreeca Freecs and DAMWON Gaming in the process. Heading into today’s match, all eyes were on Griffin jungler Lee “Tarzan” Seung-yong, who led Griffin to the finals with his magnificent play on both tanks and carries. But against Gen.G today, Tarzan took a more supportive role. Instead of Tarzan, Griffin’s stars today were their two carries Jeong “Chovy” Ji-hoon, and Park “Viper” Do-hyeon. The two dominated their respective lanes throughout the entire three-game series, giving Griffin all of their early leads. Viper fully embraced the new preseason meta, playing Cassiopeia bot lane in the first two games of the series. Prior to today’s match, Cassiopeia had a 100-percent ban rate due to her oppressive early game when taken bot lane. Viper displayed this against Gen.G’s Park “Ruler” Jae-hyuk, who he solo killed in game one. But Viper wasn’t the only player on Griffin to find a solo kill during the laning phase today. Griffin mid laner and finals MVP Jeong “Chovy” Ji-hoon had complete control over Gen.G’s Song “Fly” Yong-jun as Irelia. It was through Chovy’s solo leads that Griffin were able to take Baron and close out games two and three in 30 minutes. “I wanted to prove I was the best mid laner, and I was happy I was able to do that tonight,” Chovy said in the same post-game interview. Despite getting swept today, Gen.G did have some shining moments in their losses, especially in game one thanks to a fantastic Baron steal by Han “Peanut” Wang-ho. Gen.G top laner Lee “CuVee” Seong-jin also had a strong performance today, winning his lane in games one and two. Having exacted their revenge against the team that knocked them out of World Championship contention in September, Griffin have now earned their first major domestic title. And with their dominant KeSPA Cup win today, Griffin head into the LCK 2019 Spring Split as the league favorites.